OYO 12120 Hotel Srico is located strategically in Hyderabad to offer you the best services and comfort at affordable rates. Maintained by a skilled and friendly staff, the OYO ensures you have a good stay. 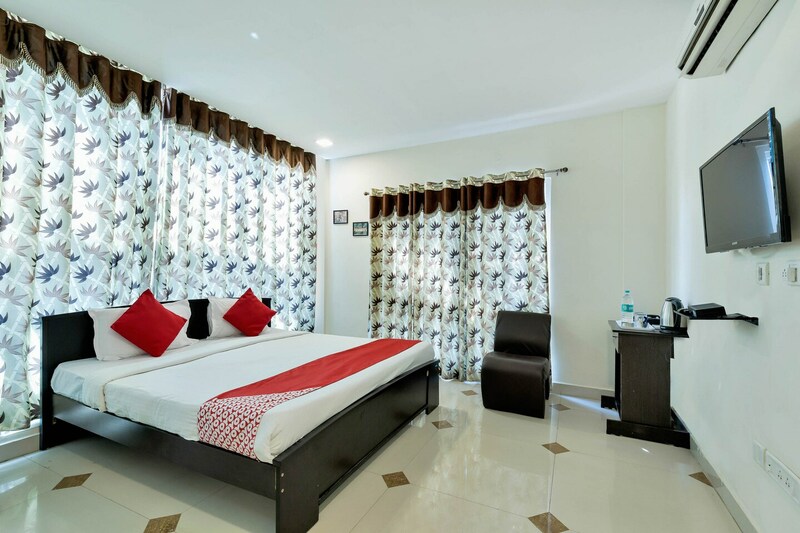 The rooms are equipped with modern amenities like Complimentary Veg Breakfast, AC, TV and much more. To make the most of your visit, head out to famous tourist spots like Golconda Fort, Masjid-E-Zama and Birla Mandir. There is Canara Bank ATM, State Bank of India ATM and ICICI Bank ATM nearby the hotel so you are never out of cash.